I always feel this is the hardest of the lists to compile as what makes one album better than the next? And there’s always so many good albums I’ve heard – there’s not enough hours in the day to review them all, sadly. I could easily put a list together, then re-arrange it with a fresh order of what’s best. So, the fairest way to do it is alphabetically. Much like last year’s, I’ve tried to look at bands of all sizes and sounds, releases comprising of EPs and albums. Last year I gave this to Anchor Lane as I caught them right at the end of the year and in 2017, I’ve seen them numerous times and somehow, every time, they get better. To have watched them grow this year and everything they’ve achieved, right here, in Glasgow is an honour. That’s why, in keeping with last year, this year’s best new band is Black King Cobra. Having watched them open this year’s Wildfire, it wasn’t a task any band would envy. Yet they did. And they smashed it. They won me over immediately and I’ve seen them several times since and much like their brothers Anchor Lane, they get better with every performance. The best way to do this is to avoid a ranking for the same reason as the album section. Here, we’re going to go through the calendar year and pick out the best. Black Sabbath / Rival Sons – SSE Hydro, Glasgow (24th January): to see Black Sabbath take one of their final bows with an incredible support band was nothing short of an honour. Sabbath will always deserve reverence because if not for them, music would look very different. Ghost – O2 ABC, Glasgow (29th March): one of the most polarising bands of the modern age but for the simple fact that they marry theatricality with a tight live performance and fantastic songs, it makes the list with ease. Biffy Clyro – Download 2017: “They’re not big enough”, “They’re not heavy enough”, “They don’t deserve it”. All comments I heard when Biffy were announced to headline Donington’s annual rock and metal extravagance. Having seen them several times, this was a middle finger to all the doubters and whilst their TRNSMT set was another spectacle with two of my favourite humans, this was years in the making for the Kilmarnock lads and one they pulled off with ease. Jaret Reddick / The Lounge Kittens – O2 ABC2, Glasgow (13th September): The Lounge Kittens kicked off this night (and tour) with their best performance to date covering some iconic songs with only the humour they can. However, it was Reddick’s performance after which made the night one which sticks in my memory. As an acoustic set, Jaret played Bowling For Soup songs you wouldn’t normally hear but not only that, he wore his heart on his sleeve for the night as he spoke about his life to create a powerful night for all who witnessed it. Alter Bridge / As Lions – Usher Hall, Edinburgh (5th October): Whilst Alter Bridge gave a headline-worthy performance at Download this year, this one was a little different. With an intimate venue and a different set from the norm whilst still managing to hit the usual touchstones, it was a great way to end their The Last Hero tour. Alice Cooper – SSE Hydro, Glasgow (12th November): ‘Nuff said. Anchor Lane / Black King Cobra – Dreadnought Rock, Bathgate (16th December): In what has been an incredible year for Anchor Lane where they were the best band of Wildfire, destroyed the competition at the Storm Breakers event in the same venue and then subsequently were the best band at Winter Storm, itself, this was the culmination of the year’s hard work they’ve put in. Ably supported by the mighty Black King Cobra, together, they made it one of the best gigs of the year and proved they’re the two best bands in Glasgow right now. 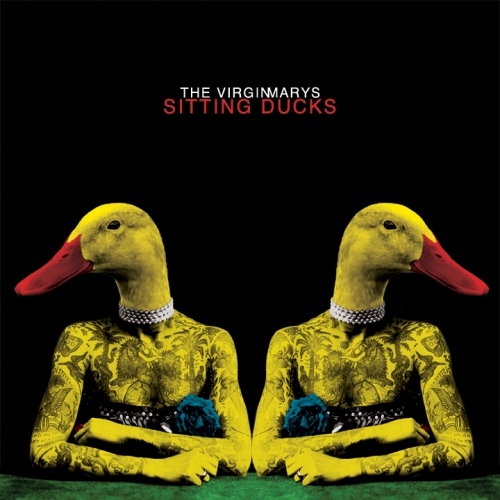 The Virginmarys / The Hyena Kill – Deaf Institute, Manchester (20th December): You weren’t going to get a list of live performances and not have The Virginmarys. As an end of year “thank you” to the fans for sticking with them in an intimate setting, shows don’t get much better. With Ally playing his Christmas charity single and “In the City” being dug out of the archives, it was one for the books. As The Hyena Kill opened for The Virginmarys on the second half of their March tour, it was only right both bands played together on home soil once more, almost like an encore. And naturally, both bands played an absolute blinder. There’s a few things that could be mentioned here but there’s a clear-cut winner. Us having our own stage at Wildfire this year. For some reason, Dave Ritchie was daft enough to let us run our stage and book whatever the hell we liked. We’ve been supporting Wildfire for years so to have a bigger presence than ever was a brilliant addition to the weekend. With no bias, the bands we had were great and everything ran smoothly. Empyre, who opened our stage, have been invited back to play the main stage next year! Perhaps a little on the nose but between Chris Cornell and Chester Bennington’s deaths and Ginger Wildheart’s suicide attempt, not only are we still losing icons, we’re still not doing enough to help mental health. Every time I see someone lose the fight, countless social media posts crop up with “When are we going to have a real talk about mental health?” and all the usual associated posts. It stays for a few days, disappears, until the next person has had enough and ends their life. We can’t keep this cycle going. We need to address it now before the next one happens. I’m not a photographer. However, I’d managed to nab a spot at the barrier for Aaron Buchanan & the Cult Classics at Download and being in the right place and time, I got this with my iPhone. I mainly got this for one of my dear friends who became a total convert by the end of their set the previous week at Camden Rocks. Sadly, I didn’t get as many interviews under my belt this year as I would have liked but I’m rather fond of the chat myself and Richard Young of The Kentucky Headhunters had this year. Having interviewed him last time they played Glasgow, this time was like catching up with an old friend. As salt-of-the-earth people go, you can’t go wrong with this man. Rock and metal is in good shape. The unsigned scene is one we should treasure and much like previous years, I’m enjoying myself far more in small venues than big arenas. I’m also continuing to find the quality is on par with the arena-fillers, if not exceeding it. Bands continue to make incredible music, live performances continue to be the best drug on the planet and I want to continue to gallivant around the country to see bands and friends. It’s all part of the fun. 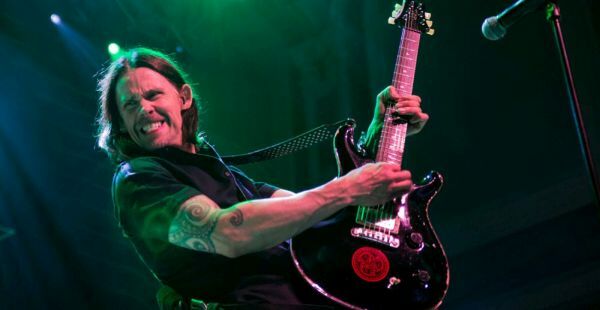 Myles Kennedy’s long-awaited solo album. That lead single is incredible!